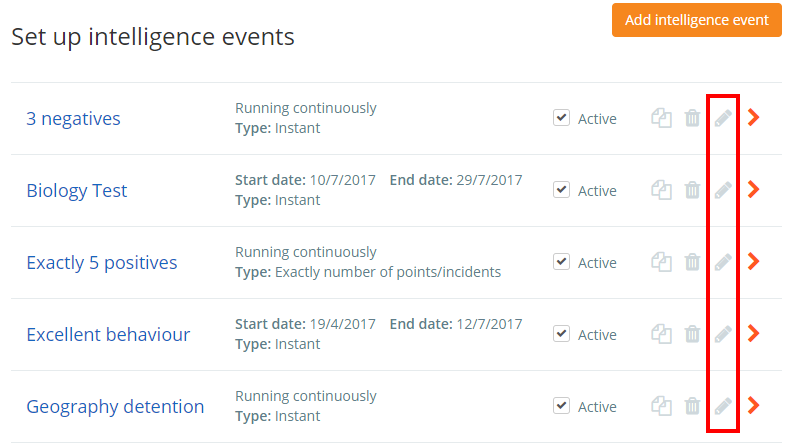 You can set up your Intelligence Events to inform specific members of staff when triggered. Intelligence event notifications are received by email and also appear in the notifications feed (bell icon in the top right hand corner of Class Charts). 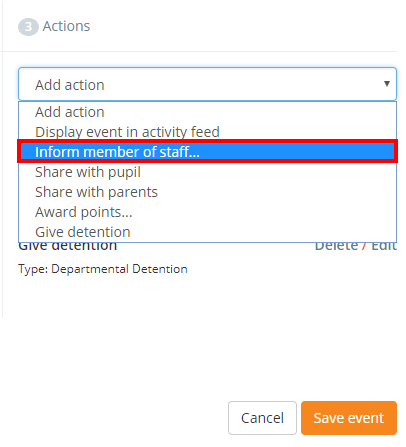 To inform heads of department when an event is triggered, ensure that you have set up heads for your subjects (SIMS linked schools will have the heads of subjects assigned automatically) and click on the Analytics option in the top menu. Next, select Intel Events from the side menu on the left. Click on the pencil icon to begin editing your chosen intelligence event. You will be taken to a detailed overview of the event's criteria's and outcomes. 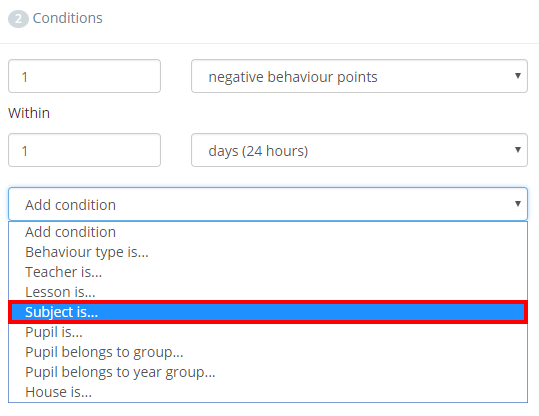 To choose which departments to inform when the event is triggered, select Subject is... from the Add condition drop down menu. A pop up menu will appear. Tick off the subjects that you'd like to inform. We recommend that you select one subject per Intelligence Event. Next, select Inform member of staff from the Add action drop down menu. Another popup will appear. Tick the Head of Subject (if available) option to inform the head of your chosen subject(s) when a pupil successfully triggers the intelligence event.